A Classic Story That Many Still Love. 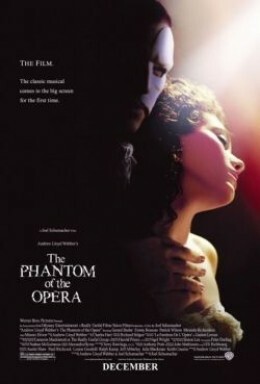 The Phantom of the Opera is a movie that must be seen! The stage performances of this classic has been seen world wide for years and years. I know that when it was playing in my city, it had a run of at least 5 years. In that 5 year time span I managed to go and see it 3 times and I would have gone 3 more times if anyone had asked me……. The Phantom of the Opera has been one of the most successful Broadway plays ever with the show having been seen by 130 million people in over 145 cities and 27 countries around the world. What makes it so wonderful is not just the story, but the music, the costumes, the sets and just the whole ambience of the show. What I found a little sad, is that I did not know the whole story of the Phantom and so the stage production, due to it’s limits, seemed a little choppy in the telling of the story. That all changed when to my delight, they did a Movie Version that filled in all the blanks that the theatrical production could not do! The other and I think more important part of why I love the movie, is that it makes a classical story accessible to so many more people. The music, the costumes, the staging and just everything about this movie can make people dream about possibilities…….. The Phantom of the Opera, the Movie Edition, should be in everyone’s Movie Library. – The story of the Phantom has so many levels that it never gets tired…… or shall we say, we never get tired of seeing it. There is not just the musical aspect of the Movie, but the story itself that makes you think about what happens to children who are “different” or treated in a way that is less than human. It tells the story of a troubled soul, a tormented person, a broken being. It is a love story, a mystery story, a tale of Paris in the yesteryears! It is also the story of what can happen to the spirits of the artists, who pour their whole lives into their art, be that art, music, dance, theater or other forms of entertainment. Phantom of the Opera can take you back in time and place you in the front seat of a story that will have you transfixed and drawn into the characters, plot lines and without you even being aware, you become part of the story…..
Phantom of the Opera – Give yourself the Gift of Theater. Everyone can broaden their horizons with a little cultural adventure. 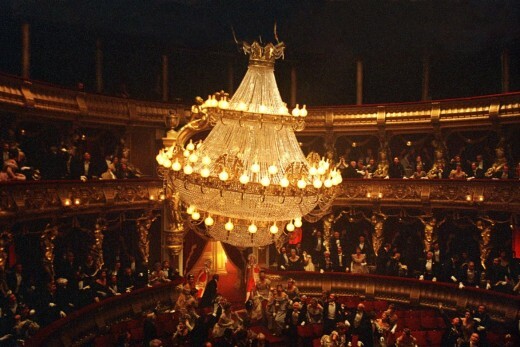 The Phantom of the Opera will not disappoint anyone who takes the time to watch and be amazed….. there are many places where Phantom of the Opera is still playing. London and New York are just two of the places where you can still see the stage production. If you have never seen it, I would encourage you to do so. There is so much talent manifested in the stage productions, that I have always left amazed at what I just witnessed with my own eyes. Beside it being a great story, the sets, the costumes, the music and the actors do a phenomenal job of telling a story that is visually pleasing and leaves you wanting to see more. Even for those who don’t particularly like opera, this production may have them thinking twice about their like and/or dislike for this type of music. parents and grandparents bringing their children to the live productions. Now granted this is not something I could afford to do, at least not with the Theatrical Performances, but, I do believe that children who are given to opportunity to see live theater, have their imaginations “tweeked”. Children who take dance lessons, or singing lessons, music or any other type of lesson that broadens their scope, will find something in this story to intrigue them. Who knows, maybe your son or daughter, nephew or niece will be the next great set builder, lighting specialist, playwright or actor, because they were entranced by what they were exposed to when they were younger. We never know the impact that we have on our children and grandchildren, when we share the things we love with them. What I love about the Movie version too is that it can be stopped and started again, you can explain the story as it goes along without upsetting other patrons in the theater. It is a win-win way to share theater with youngsters and open their minds to anther form of entertainment. You can watch the whole movie online, But it is so much easier to share it with your family when you own the Movie. Phantom of the Opera is one of my “go to” movies, when I want to be entertained, but can’t make up my mind what to watch. Just 2 minutes into the Movie and I am relaxed and enjoying the whole atmosphere of Old Paris again. Try it, you will like it! The story, while basically a tragedy, has moments of laughter, moments of joy and moments of terror too! It draws you into the story and doesn’t let you go until the end! For more go to www.grammieknows.ca, there is always something there for you! A great idea – I’ve been looking for a Christmas family movie!